You’re reading novel Chaotic Sword God Chapter 469 - Retaliation From the Heavenly Eagle Kingdom online at LightNovelFree.com. Please use the follow button to get notification about the latest chapter next time when you visit LightNovelFree.com. Use F11 button to read novel in full-screen(PC only). Drop by anytime you want to read free – fast – latest novel. It’s great if you could leave a comment, share your opinion about the new chapters, new novel with others on the internet. We’ll do our best to bring you the finest, latest novel everyday. Enjoy! 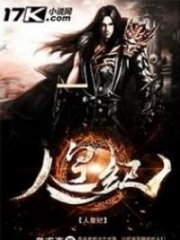 “Qiangan Kingdom, although I was able to obtain the Saint Ruler’s skeleton, you have found trouble with me. I no longer need to abide by our earlier agreement. Wait and see, when I have time, I will visit again to merit out fairness.” Jian Chen muttered under his breath as he floated in the air. At the same time, he felt worried about the Huang family. Although he had once helped Huang Luan, the skeleton of a Saint Ruler wasn’t beneath a Ruler Armament in rarity and value. Whether or not the patriarch of the Huang family would trouble him for the skeleton, Jian Chen didn’t know. All he knew was that the skeleton was indeed a great boon for the patriarch if he had gotten it. However as an Imperial Protector of the Qinhuang Kingdom, Jian Chen held a certain amount of power over even the greatest of clans on the continent. Even the patriarch of the Huang family would presumably avoid overstepping his boundaries to deal with Jian Chen. “It seems that being able to use the Chaotic Force is even more important than ever. This way, I will have a weapon to use against those of the Saint Ruler level.” Jian Chen muttered in resolute determination. After he returned, he would refine the energy within the Saint Ruler’s skeleton straight away. 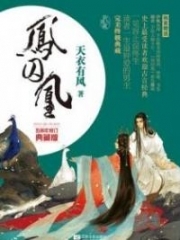 Transforming into a jet of azure and violet light, Jian Chen flew off in the direction of the Gesun Kingdom before ultimately disappearing into the horizon. At the same time in the Heavenly Eagle Kingdom, a single squadron had entered the imperial palace. All the guards had knelt on both sides as a polite gesture of welcoming. After several days of traveling, the second prince and the prime minister had finally returned to the imperial palace of the Heavenly Eagle Kingdom. The very moment they had entered the palace, the travel-weary second prince and prime minister instantly dismounted from their horses and walked straight for the halls to report to the king. Notified of their arrival to the large halls for a discussion within the palace, the king had sat in his throne. On both sides, twenty armored experts stood without moving, looking more like statues than humans. Each one of them was stony-faced, but their eyes emitted a sharp contrast. The second prince and prime minister walked into the palace. When they saw the king sitting high above upon his throne, they immediately knelt down in subservience. “Father, the Gesun Kingdom is far too insolent, not only do they see themselves as higher than everyone else, but they do not even see our Heavenly Eagle Kingdom as above them. Not only did they injure senior Georgien, we were barely able to escape from the imperial palace.” The second prince immediately told the king what had transpired in the Gesun Kingdom and had added his own details to it to make it seem even worse. “Your Majesty, the second prince speaks truly. The Gesun Kingdom has without a doubt placed our Heavenly Eagle Kingdom beneath them. Furthermore, Georgien was indeed injured by them and they were just about to take us in forever.” The prime minister spoke respectfully. “Yes!” A guard immediately ran off. Quickly, the pale-faced Georgien came running into the hall and knelt before the king. “Are you fine, Georgien?” The king asked in concern. When it came to Heaven Saint Masters, he had to make sure to treat them well. With that, the king listened to Georgien give his explanation. Although there were slight deviations to what the second prince and prime minister said, the main points were still the same. It was these main points that caused the king of the Heavenly Eagle Kingdom to take on a nasty expression. “You there, bring a thousand year ginseng from my personal collection.” The king commanded to one of the palace maids. “Yes, your Majesty.” The maid obeyed before leaving. “Senior Georgien, not too long ago, I received a thousand year old ginseng. I present this to you in hopes of a speedy recovery. As for the matter with the Gesun Kingdom, this king will make sure justice is made.” When the Gesun Kingdom was mentioned, the king’s eyes flashed dangerously. “Then there is even more reason to kill him. Otherwise, our Heavenly Eagle Kingdom will have a powerful threat in the future.” The king spoke. Half a day later, eight Heaven Saint Masters had been gathered within the depths of the imperial palace of the Heavenly Eagle Kingdom. After talking for an hour, they all left, but two additional people had joined their ranks to make a total of ten. Two days later, the air within the imperial palace was different than before. The Black Armors continued to patrol the entire palace while the king himself strolled around it in an extremely pleasant mood. At the current moment, he was playing chess with Ye Ming; he was no longer worried about the future development of the Gesun Kingdom. That was because there was now an incredible strong mountain of a power backing up the entire kingdom. Suddenly, a large explosion rocked the entire palace, causing it to shudder. A bright red light could be seen as it filled the entire place and sent rubble flying everywhere. You're reading novel Chaotic Sword God Chapter 469 - Retaliation From the Heavenly Eagle Kingdom online at LightNovelFree.com. You can use the follow function to bookmark your favorite novel ( Only for registered users ). If you find any errors ( broken links, can't load photos, etc.. ), Please let us know so we can fix it as soon as possible. And when you start a conversation or debate about a certain topic with other people, please do not offend them just because you don't like their opinions. You're reading Chaotic Sword God Chapter 469 - Retaliation From the Heavenly Eagle Kingdom. This novel has been translated by Updating. 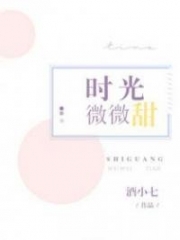 Author: Xin Xing Xiao Yao already has 11808 views. Current Time is Apr-18-2019 19:03:30 PM.